Numerous OB/GYN offices are reporting an increase of 10-30% in pregnancies that occurred during Hurricane Sandy. When much of the tri-state area was thrown into darkness and kept from traveling or going to work during Hurricane Sandy, some people took advantage of the time together in the dark, and statistics are coming out for an expected Sandy baby boom. New York, New Jersey, and Connecticut hospitals have been noticing an increase in women scheduling births in late July and early August, nine months after the hurricane hit and areas began to clean up and rebuild. OB/GYN offices have been reporting anywhere from a 10% to a 30% increase in pregnancies that occurred during or around the time of Hurricane Sandy. Rosie Pope maternity store in Soho keeps track of the due dates of its customers, and store executives have also seen an uptrend in clients who are four months pregnant. There are mixed evidence for so-called “catastrophe babies,” as some natural and man-made disasters result in baby booms, while others do not. History has seen many extended blackouts result in a rise in pregnancies, going back to the blackout in New York in 1965 that left people in the dark for up to 12 hours, and resulted in a spike of pregnancies. “In the past, there was a bump during 9/11, there have been bumps after blackouts and hurricanes, but Sandy went on for quite a while, and events that cause power outages really bring — how should I say this? — people closer together," said Dr. Jacques Moritz, gynecology director at St. Luke’s-Roosevelt Hospital in Manhattan, to The New York Post. Though Moritz’s reasoning is more romantic, pregnancies may also have arisen from women who were unable to access their birth control due to unsafe travelling conditions and stores and offices being closed. 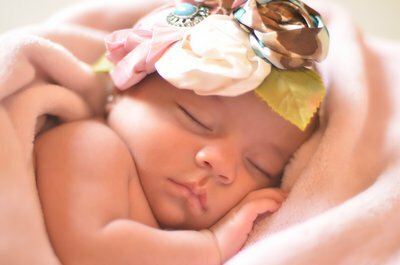 Small baby booms such as these arise occasionally, but Americans have yet to see a large-scale baby boom since the famous rise in births after World War II between 1946 and 1964, when 78.3 million Americans were born. Subject: LongIsland.com - Your Name sent you Article details of "The Tri-State Area is Expecting: Sandy Baby Boom Expected for Summer"